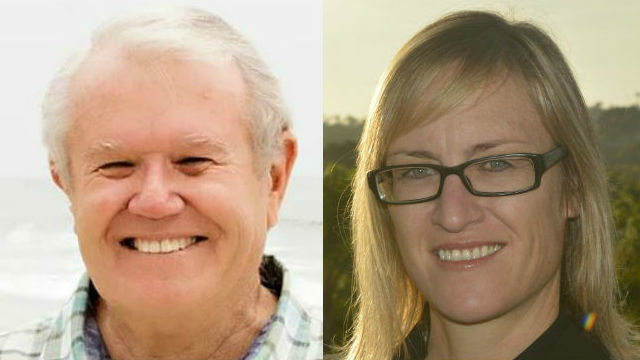 The two candidates for mayor of Carlsbad stressed focusing on local solutions and ending political divisiveness at a packed election forum on Monday. His challenger, city councilmember and champion surfer Cori Schumacher, said the issue was developing a vision for the future of Carlsbad. “What do we want to be? Do we want to be Newport Beach? Do we want to retain that small beach town demeanor?” she asked the audience. 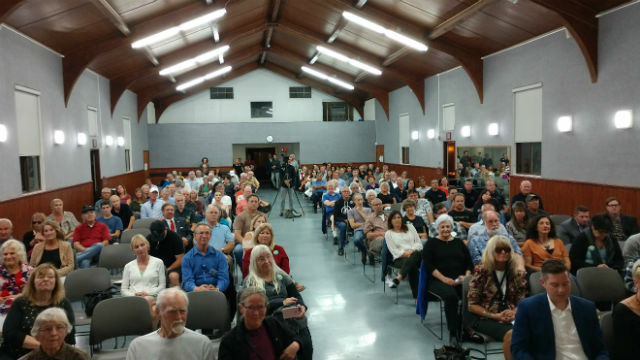 The two candidates met at a 90-minute forum sponsored by the Carlsbad Police Officers Association at the Harding Community Center in the village area. More than 200 people packed the center. Hall stressed his long-time experience in Carlsbad as a businessman, community leader and elected official. Schumacher, who is serving her first term on the City Council, emphasized listening to constituents and her commitment to community choice electrical power as a way to move Carlsbad forward. Both candidates stressed the need to support the city’s police department. Schumacher said her goal, if elected, is to “ensure that we have the correct number of people in our police department.” Hall said he wants to make the Carlsbad Police Department then envy of others in San Diego County. A question near the end of the debate asked each candidate to explain what they admired most in their opponent. Schumacher complimented Hall’s record of two decades of public service, while Hall said Schumaker is “working her hardest” on the city council.